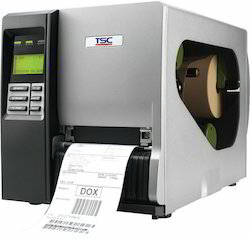 Keeping in mind the precise demands of our esteemed clients, we manufacture and supply TSC Industrial Barcode Printer. This range is designed at our premises using quality approved components in compliance with set market norms. In order to meet the industry quality standards, the entire range is stringently tested on various defined parameters. 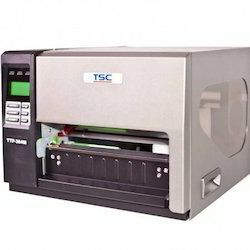 Furthermore, clients can avail this printer from us at rock bottom prices. - 2-BUTTONS 3-LED (Basic model)/6-button LCD (advance model) control panel. - Print head pressure adjustment knobs. 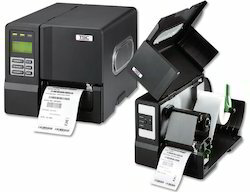 - 450 meter ribbon capacity. - Available in both 203/300 dpi. - Ethernet, USB 2.0, serial & parallel connectivity are standard. - Heavy duty die- cast aluminium design. - 300 dpi & 600 dpi resolution options. - 600 meter ribbon capacity. - Large LCD display with 6 button menus. - 8 MB flash & 32 MB SDRAM memory. - SD flash memory expension upo 4GB. - Heavy duty die-cast aluminium design. - 600 meter ribbon supply. - Large LCD display with 6 menu buttons. - SD flash memory expansion upto 4GB . - Upto 305mm (12") per sec. print speed. 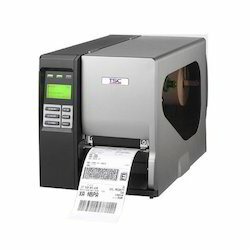 - Can manage label width upto 9.5" with a maximum print width upto 8.64" wide. - Large LCD display with 6 buttons menus. - SD FLASH memory expansion upto 4 GB. - Upto 305 mm (12") per sec. print speed.